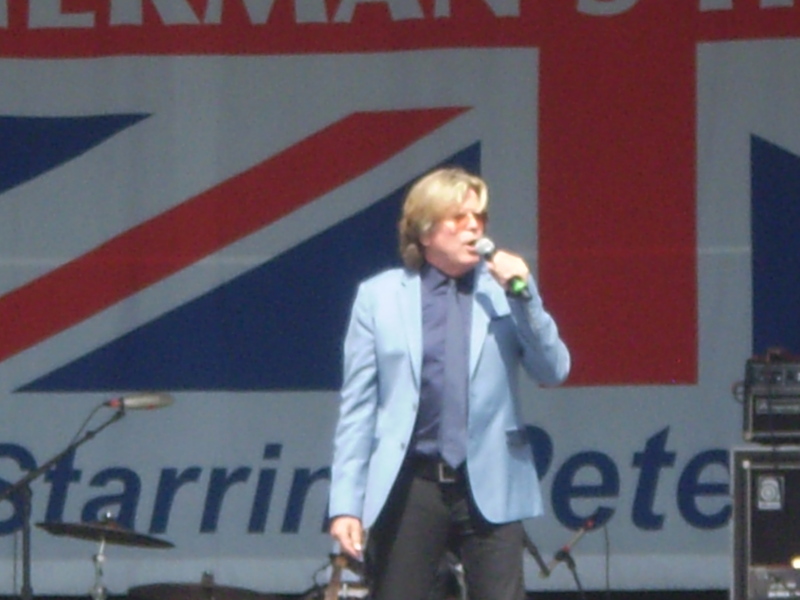 I hadn’t had a chance until today to upload some video I shot of Peter Noone & Herman’s Hermits at the NY State Fair this past Monday, August 25th. This was the highlight of a wonderful and fun concert….I’m Henry the Eighth I Am. I must explain something that Noone refers to a couple of times in this performance. Every 15 minutes the Fair broadcasts announcements over the Public Address system….the time and a piece of information about what’s going on at the Fair. Noone could hear these and joked about it throughout the show….at one point he heard the woman doing the announcements say, “If you have ay questions…”, to which he replied, “I have a question….Who is this woman who keeps interrupting Herman’s Hermits?” The audience loved it. Of course, another announcement came on during the song ….my camera phone didn’t pick it up but Noone does comment on it to comic effect. I chose to aim my camera phone at the video screen at the side of the stage because it is only shoots at 1.3 megapixels and trying to zoom in on the stage would have resulted in a poor quality image. This isn’t the best view but the audio is pretty decent and the whole thing is fun to hear. 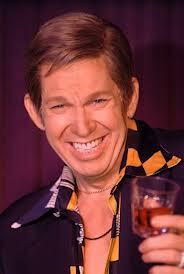 In Praise of Michael Airington and OH MY GOODNESS, IT’S PAUL LYNDE! I’ve been thinking a lot lately about a favorite commercial of mine from the 1970s….an ad for Faygo featuring the man best known as radio’s Great Gildersleeve, Harold Peary. I always loved how charming and simple this commercial was.